I’ve spent last weekend in London, meeting my friends Lakshmi and Bethan, for our mini Cuba reunion, sharing memories and discovering new places. Most of the people that go to London will limit themselves to see the City of London and Westminster, and maybe, if they have time, explore a little bit of Camden and Kensington. 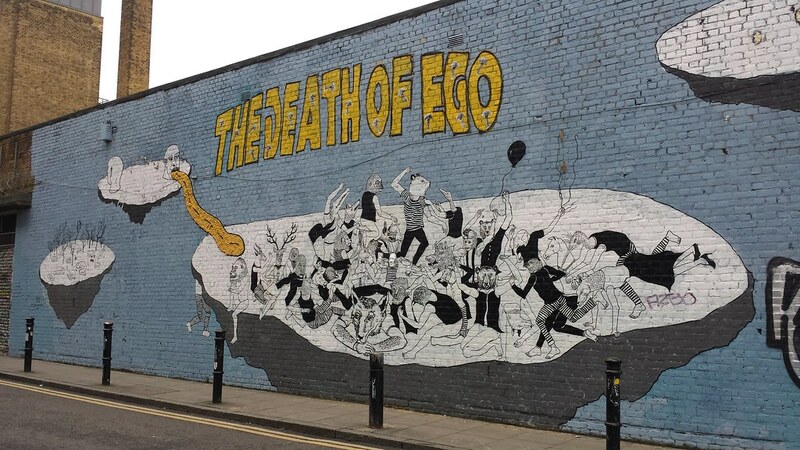 So today I’m going to tell you about our experience in the East End – Shoreditch! Shoreditch is a very hip and multicultural area of East London, with a lot of markets, cute cafes, independent shops, and trendy clubs. Many of the walls here are plastered with graffiti and many shops are selling quirky products. We started out day walking towards Colombia flower market, a street that every Sunday between 11 and 3PM transforms in a colored oasis, with hundreds of different types of plants sold very cheap. We made our way through the crowds and enjoyed the smell of dried lavender, that was sweeping gently into the air. On both sides of the street, small art galleries and antique shops are inviting visitors to come in and take a look: vintage glasses, vinyl records, Victorian postcards, there’s even a rocking horse if you fancy! 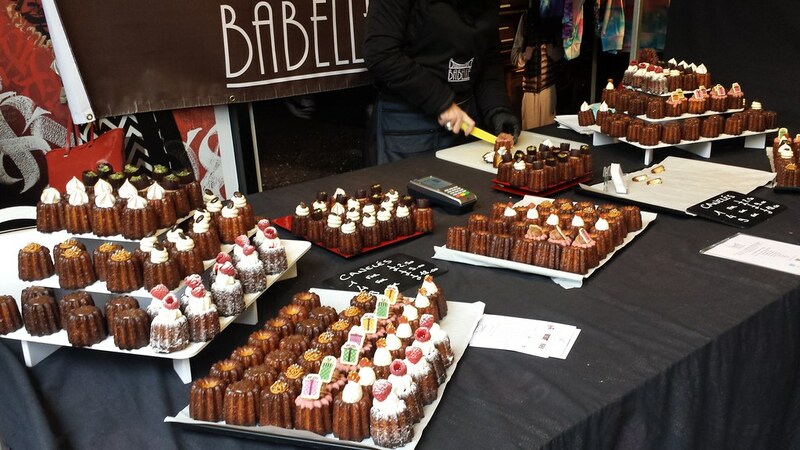 Our next stop was the Brick Lane market. But first, we couldn’t miss the famous salt beef beigel for lunch, from the Beigel Shop. The queue was stretching until outside the shop, but it was going pretty fast. In the window we could see a lady carving big chunks of beef from a slab kept warm. The cost of the salt beef beigel is £3.70 and an extra 20p if you want gherkins. Three of those big chunks of beef ended up in my beigel, and it was so big that I couldn’t bite it whole in one go. It was absolutely delicious and very filling. The Brick Lane market is great if you like shopping. You can find everything you’re thinking of here, including a shop that sells high street brands like Burberry or Valentino at discounted prices. Of course, you can’t miss the street food vendors, who try to allure you towards their stand by offering you a taste of what they are selling. You can find all kinds of different foods here, from Chinese to Italian, from Indian to Brazilian, from South Korean to the old curry wurst. For out afternoon tea we stopped at Kahaila Cafe, a chilled out coffee shop with a wonderful all glass roof that lets lots of light coming in. This coffee shop runs as a charity, and donates all its profit towards the supporting the local community projects. In the evening we crossed the line between Shoreditch and the City, and headed over to the Sky Garden. As the name suggest, Sky Garden is a “garden” on top of the “Walkie-Talkie” skyscraper, with fantastic views over London. Unfortunately the access is permitted only with a previous online reservation. The tickets are free but you still need to have one before you go because they only allow a limited number of people each hour. In the Sky Garden you can also find two restaurants and a bar, if you’re hungry or thirsty, but they are pretty pricey. We left a bit disappointed and entered the nearby Folly Bar for a quick cheering up Cuban drink: Cuban Queen, made out of Rom, mint, angostura, lime, agave & prosecco. Yum! On the way back to Shoreditch we stopped to admire the Victorian Leadenhall Market, where the exterior Diagon Alley scenes from Harry Potter were filmed. If you are interested in the movie you can go on a tour of the Harry Potter studios next to London. We had dinner at Honest Burgers, a simple classic but delicious burger, accompanied with a lot of homemade rosemary chips, all priced very decently at £9. And then, the highlight of the evening came. 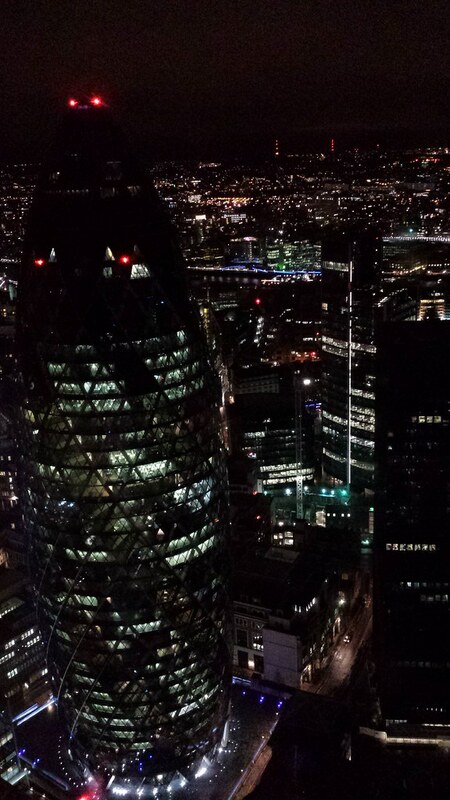 We reached the Heron Tower, passed through security and jumped into the all glass elevator that took us to the 38th floor, the home of Sushisamba. This Japanese-Brazilian-Peruvian restaurant/bar left me speechless. The design of the place is amazing and it’s surrounded by ceiling to floor windows, from where you can see the panorama of London and iconic buildings like St Paul’s or Tower Bridge. We ordered a fancy cocktail and got out on the terrace. Even if the wind was blowing very powerful, the terrace is surrounded by shrubs that don’t let it pass through. In the middle of the terrace there is an outside bar, on top of which a big tree with orange leaves completes the design. We sat near the fire pit and enjoyed our drinks. It was such a great feeling being there, on top of the city! ← The airline lost my luggage. What do I do? This little excursion sounds so great! You get to see some Harry Potter filming history as well as try a new drink (Cuban Queen)?! Score! I jotted down the ingredients to that drink- definitely want to try it out. Thanks for sharing and the pictures looked great. 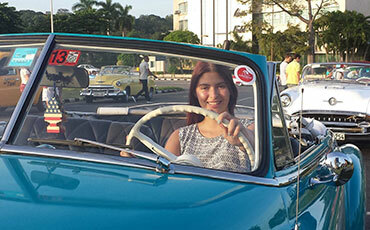 Cuban Queen was a very refreshing drink, you couldn’t really feel the alcohol – dangerous! Haha! Your pictures are forever stunning! When I head across the pond I will be sure to have my friend Charlotte take me here. This actually reminds me a lot of my city here, Philadelphia. With the colors, buildings, and culture! Great stuff! Shoreditch is like hipster central, looks like you had a good time though! I missed this whole area of LDN when I was there. Funnily enough I’ve only been to London once despite being a 40 minute plane ride away my whole life! I love your photos! Sigh. I wish to visit London — no, the entire UK! — one day. I’d like to explore it and capture it as you do! In case you couldn’t tell by my pictures Shoreditch is like a second home to me. I love it and as a huge fan of street art it ticks the right boxes. I am there nearly every weekend! I miss London so much. Great post! Lovely blog and great pictures. Been to London once but now I will make sure I explore this. It is always nice to see photos of places I have never been to. I sure would love to buy that beef and stand by the wall with the beautiful graffiti and slowly eat and … just watch the scene. Really cool place. I loved seeing and hearing all about it because it felt like I had joined up with you and your friends for the weekend. Thanks for sharing not only the fun things about it but also the things you would see on an average day! Beautiful place…goes in my diary for our London trip planned for next year! Thanks, this will be my guide when I visit London. And I cant wait! Wow I feel like we almost live the same life!! We’ve been to so many of the same places! I was in shore ditch last year with my cousin. It was so cool! Wow, amazing photos. I really like the picture of the tree. It looks so awesome at night! The flowers are so beautiful. I haven’t seen a real one as beautiful as those. And the food! The sausages and the pastry made my stomach grumble because I haven’t eaten breakfast yet. Many tourists haven’t been to this place because it’s never included in the travel package. No, travel guides don’t really include this kind of places, maybe only Lonely Planet. The Sunday market is something I always look up to when I visit places because you can see almost all the local stuff and food that the place offers. 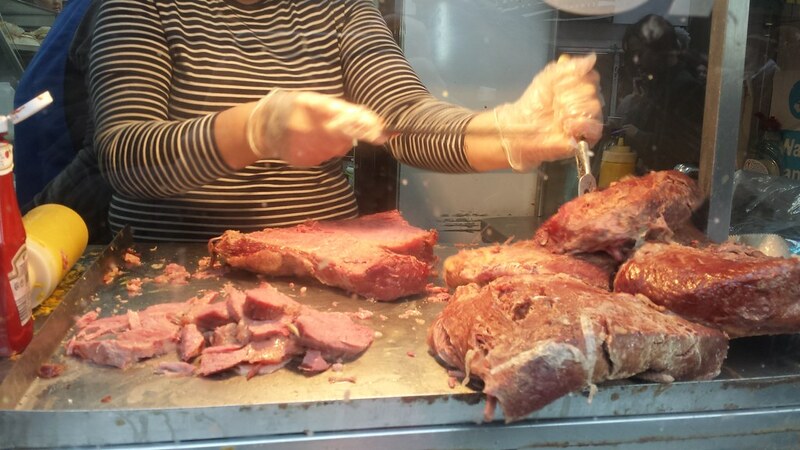 I have read from another post that beef beigel is really a must try in the Brink Lane market. Great post! Loved your pictures too! I’ve always wanted to visit London. Very detailed guide. Gonna be a big help when I go to London. Thanks! Haha, this one was an advertisement for glasses, if you can imagine that. 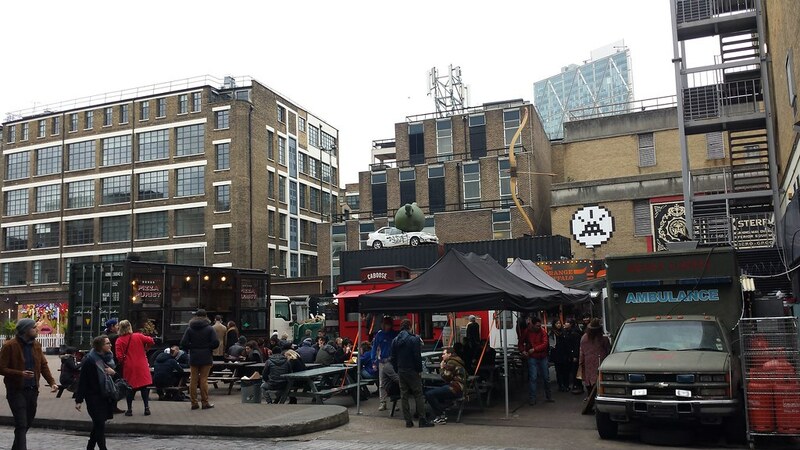 I love Shoreditch – Such a great part of London! Love Soreditch so much! Thanks for the trip down memory lane. If you loved your time at the markets you should also check out Old Spitalfields Market(great for menswear and handmade goods.) Portobello Road Market is where you can find antiques and bric-a-brac. Camden Markets are full of eclectic open air stalls selling second-hand clothes, art, furniture and jewelry by young designers. Have an awesome time in London! My favorite city! Amazing and breathtaking photos as always. Hopefully I can visit Soreditch anytime soon. The places you visited look intriguing!! They are not the usual London sites, like the Eye or Tower Bridge or Big Ben, but it’s nice to travel to places that are not that known, but find interesting stuff there. I shall add Shoreditch and Brick Lane to my places to check out when I’m in London. I really wish that on my visit to London I got to experience cooler, genuine places like this. We did all the tourist stuff naturally and had limited time but I would love to do another trip an live “like a local”! Brick lane market is something I have always wanted to visit! I’ve never been to London but when I do, Shoreditch is definitely going to be on my list. I love to explore places like these. Super cool! Can’t wait to go there as well mate, thanks for sharing. I live in London so I go to Shoreditch regularly. 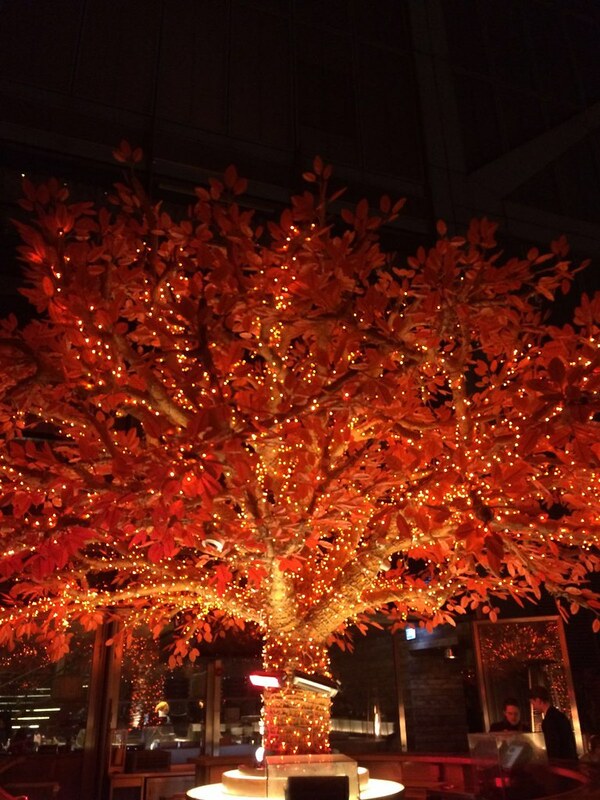 I love Sushi Samba – although the lift scares me a little! 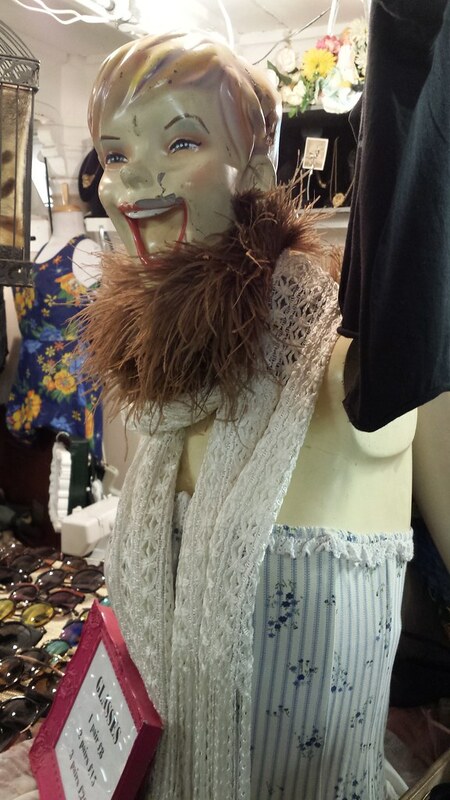 And Brick Lane market is just amazing, you’ll always find something unique there. I have recently just been to London and your post made me nostalgic and want to go back. I don’t think I have been anywhere that quite compares to Shoreditch before! It looks like an amazing place to explore! I would definitely love to visit there! Never been to Shoreditch but I see it all thru your eyes. You captured the vibe beautifully from Flower shop to meats and to that coffee shop that donates to charity. Love the details and lovely pics. What a nice London adventure. I know I’d have a blast checking out the markets and small shops. After my exams it is definitely London time and this looks like a good place to visit! Thank you so much for sharing it is always great to get new information rather than search older posts for what to do in London. I’ve never been there, but it seems like a cool place to go! Perfect for designers and artists! I’d love to explore this area when I’m in London! Pinned your post for the future! I love visiting markets like those. You can feel the vibrant and the special ambience. 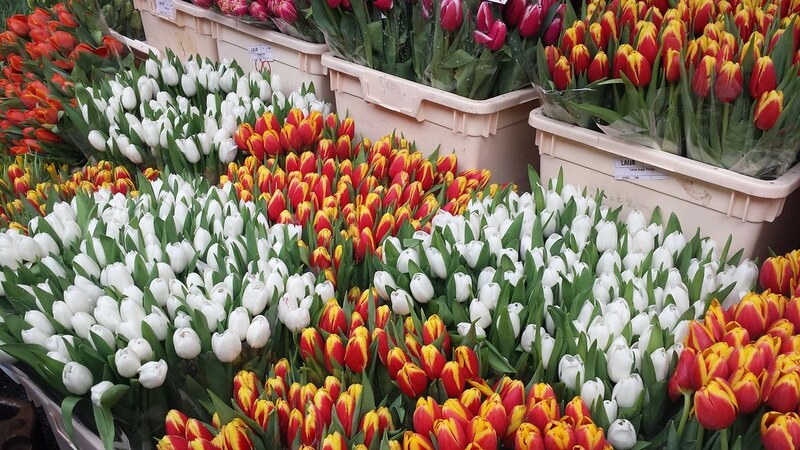 I will be lost if I visit the flower market as I’m a huge fan of flowers – they are beautiful and perfect to picture. I’ve been in London once but spend all the time in touristic places. Lovely post, makes me wonder what it would be like to live in London for a year. Gorgeous view! Big cities have still their genuine beauty, especially at night. Lovely photos. I need to go around more than I do next time I visit London at least I have more than one post to revisit once I plan my trip back. This sounds wonderful! The tulips are stunning and I would love the market. I would also want to eat one of those meaty beigels! And thanks for the tip about the Sky Garden! I really can’t wait to go back to London! Looks like an amazing day for you and your friends. I want to see more graffiti. The flowers are very beautiful and that coffee shop for a cause is amazing. 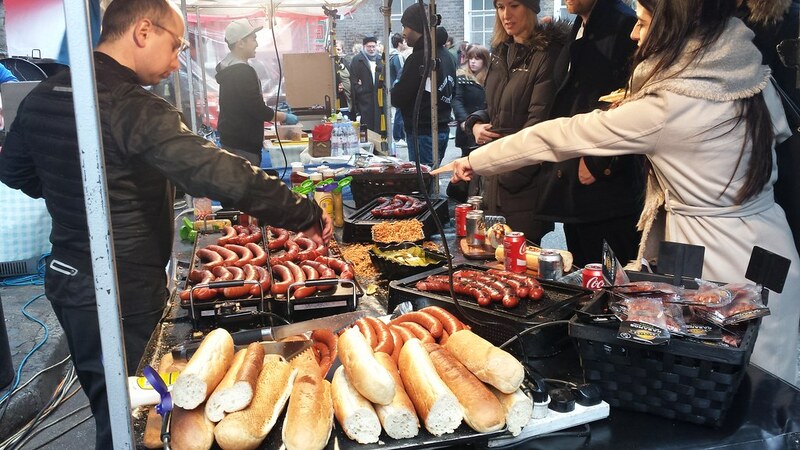 This is a cool post – Shoreditch is brilliant. Did you go to Box Park? Maybe you’d like our suggestions of places to head to in London, too. Exploring Shoreditch on Sunday would be great due to lovely and beautiful flower markets. Stunning night views are also worth watching. Thanks for sharing!